A lightly-textured, non-greasy cleanser formulated with quality ginseng essential oil and other natural plant based materials. It contains no artificial perfumes, artificial colors or chemicals. Our Ginseng Cleansing Milk leaves your skin feeling soft and hydrated due to the nature of our gentle plant derived cleansing agents. 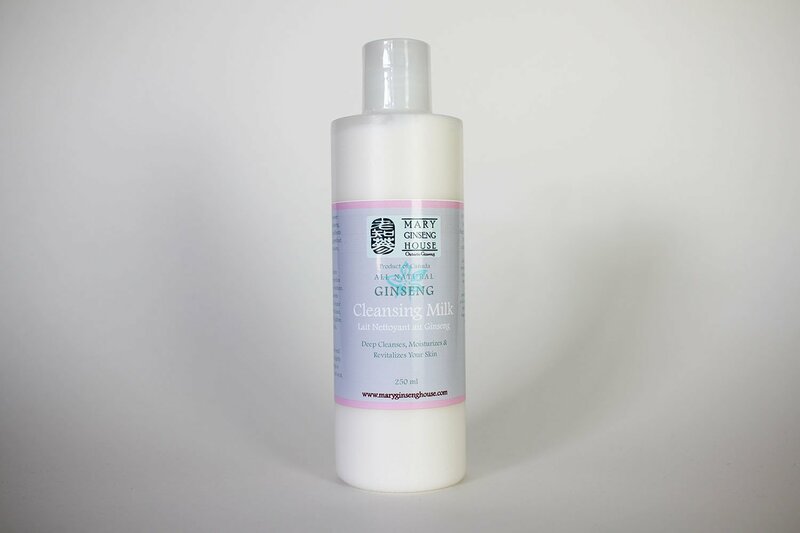 Our Ginseng Cleansing Milk is gentle enough for all skin types. It is naturally scented, and gently exfoliates and removes all make-up and impurities from skin while retaining valuable moisture. 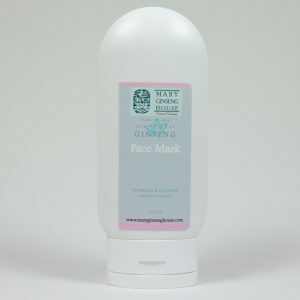 This emulsion will not clog pores and its active components in ginseng also help revitalize and repair damaged skin. Leaves skin feeling soft, supple, clean, and refreshed. This Ginseng Cleansing Milk is an effective means to remove pollutants, bacteria; make-up and dead skin cells accumulated on the surface of the skin, and is intended for the use in both the morning and evening. Using this cleanser regularly also helps lighten brown and dark spots on skin. Ginseng essential oil, Lanette wax, Grape Seed oil, Rosewater, Grapefruit Seed extract, essential oils of Geranium, Lavender, Rosemary. For external use only. Use in the mornings and in the evenings. Pour a quarter sized amount of cleansing milk onto a slightly damp wad of cotton and apply in upward circular motions all over the face and neck areas, then rinse and repeat if necessary. Or smooth cleansing milk directly over face and neck in circular motions with finger tips, then rinse and repeat if necessary. Follow this step with Mary Ginseng House’s Ginseng Toner to remove any remaining residue. 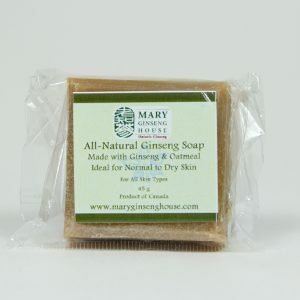 Mary Ginseng House is proud to open its doors to the rest of Canada and the US. We ship all of our products at a flat rate of $10 in Canada and $20 to the US. 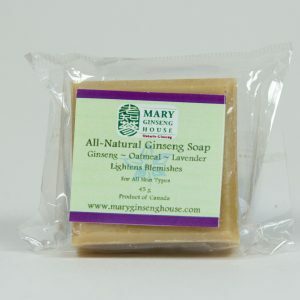 If you require international shipping, please email us at [email protected]maryginsenghouse.com.